George and Sheri Braun’s 72-acre farm with a gentle south-facing slope, great drainage and lots of sun. For Canadians, olive oil has always been an import, along with other essentials like lemons and coffee. But that soon may change thanks to George and Sheri Braun who harvested over 1,000 pounds of olives from their grove of 2,500 trees on Salt Spring Island in B.C. last December. 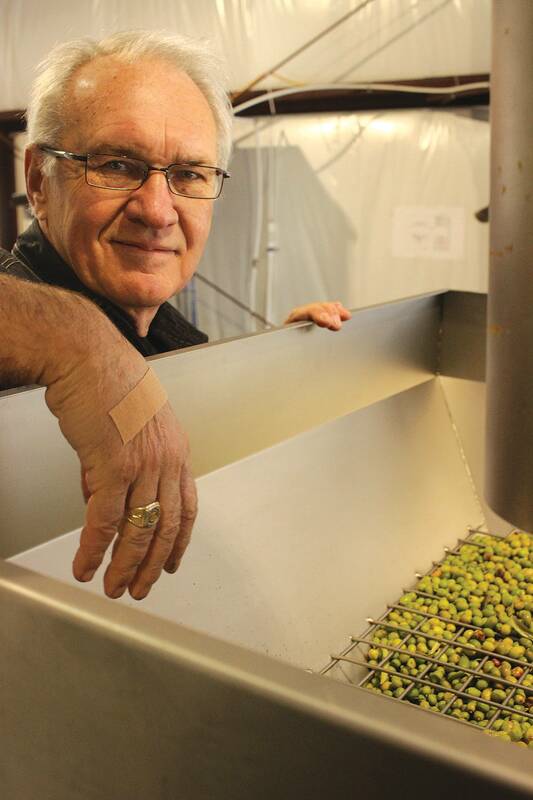 "It's really difficult to look for a place in Canada to grow olives when everyone's telling you it can't be done, that you're crazy and wasting time and money that could be put to better use," says George. After decades living and working in Alberta, he and Sheri moved to Kelowna, B.C. and had a cherry orchard, but dreamed of an olive grove. "A grower in Oregon told us, if you can grow a pinot noir grape, and if the arbutus grows there, then you might be able to grow an olive tree." Bottles sold out quickly, though some can still be found in stores across Canada. After a four-and-a-half year search, they found the right spot in the Fulford Valley on Salt Spring , a 72-acre farm with a gentle south-facing slope, great drainage and lots of sun. 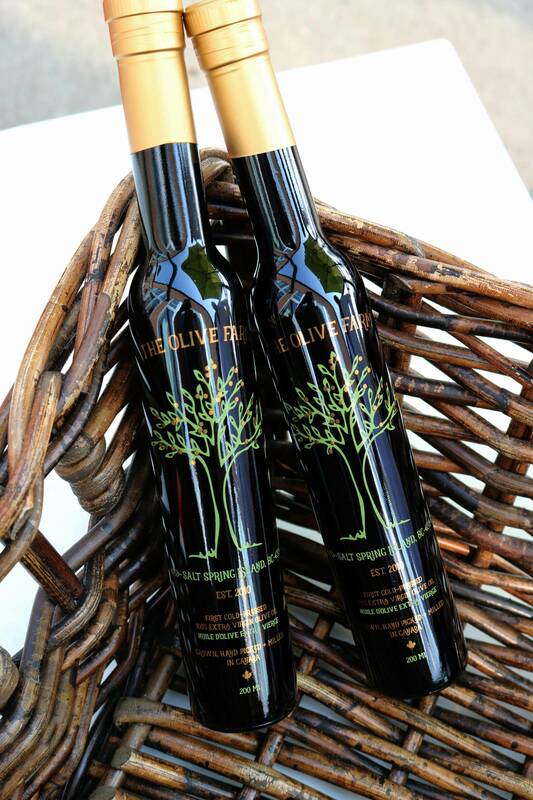 "The olive trees seem to be adapting to our climate here, the cold and the wet," says George. "We didn't expect to harvest for another two years, but I think we found the one spot where it could be done." The first seedlings were imported into a greenhouse in 2011 and transplanted outdoors in 2012. At the end of 2016, with help from family and friends to pick, mill and press their first crop, the Brauns had 32 litres of fruity, pale green, 100-per-cent Canadian-grown olive oil. Bottles sold out quickly, though some can still be found in stores across Canada. They anticipate an even greater yield in years to come. For more information, visit www.theolivefarm.ca.